Assistive robotic devices have the potential to improve the quality of life and reduce the risk of injury. This could be in rehabilitation allowing patients to exercises in their home, reducing financial burdens and increasing the quantity and quality of the exercises performed. The same ideas can be applied to industry reducing the risk of injury and improving worker endurance. My work has been focusing on the development of affordable, accessible robotic technologies. 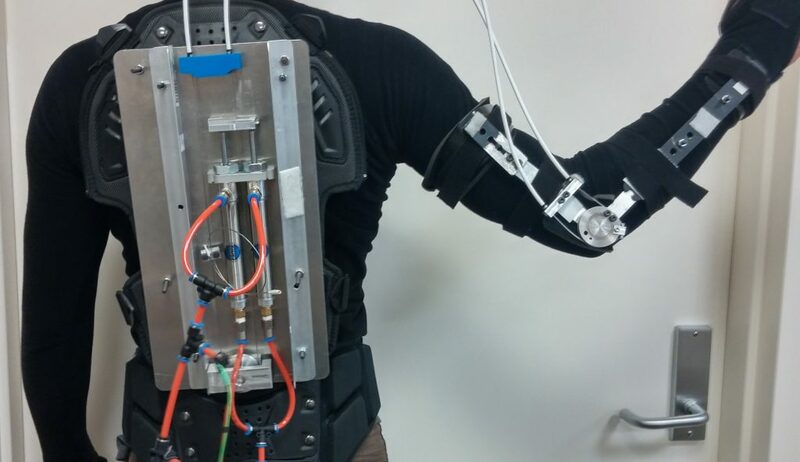 This has led to the development of Variable Dynamic Actuators and the APEX Exoskeleton. APEX Alpha, the first generation prototype upper limb device designed for elbow assistance. Kaneishi, Daisuke, Robert Peter Matthew, and Masayoshi Tomizuka, 2018 7th IEEE International Conference on Biomedical Robotics and Biomechatronics (Biorob), Enschede, 2018, pp. 713-719.